This Contemporary headboard is finished in a sophisticated espresso laminate. 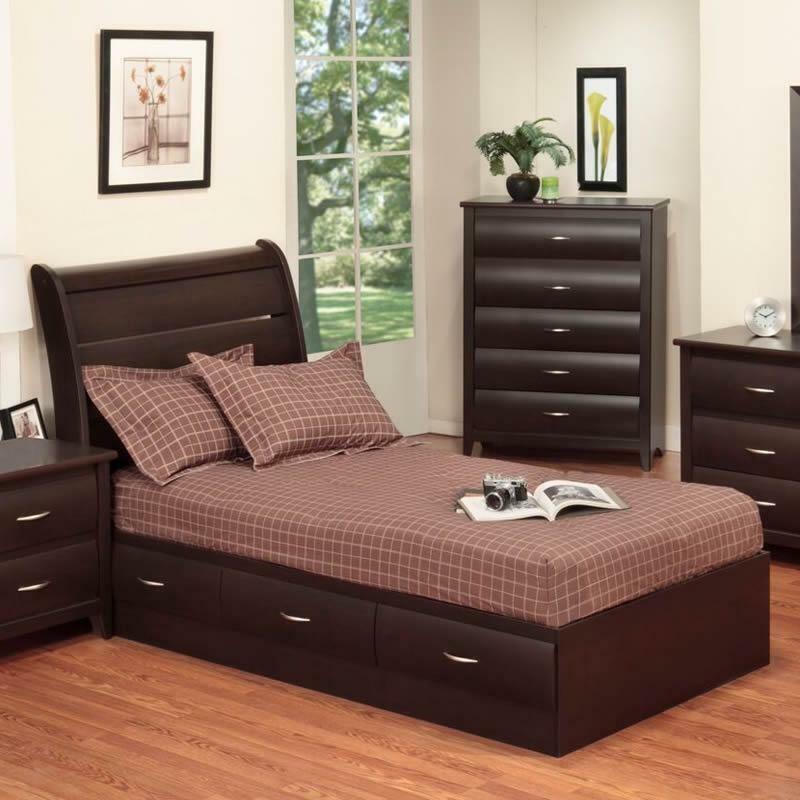 The shaped panels and gentle curvature of the headboard and soft curved drawer fronts enhance the metropolitan styling. 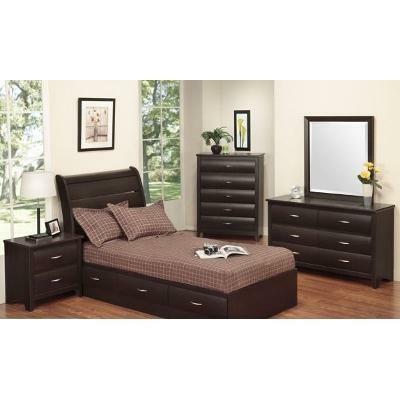 Attractive to young and old, boy or girl, the perfect bedroom group for today's cosmopolitan family. 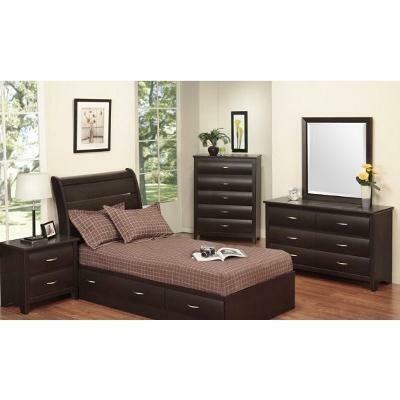 Additional Information Headboard is designed to accommodate a Twin metal bed frame. Headboard features shaped panels and gentle curvature for a contemporary look.